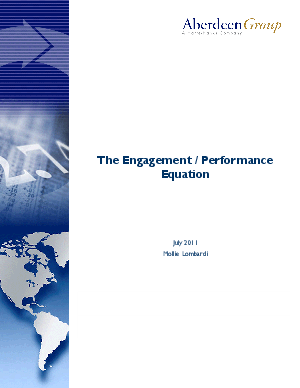 Employee engagement and employee performance management truly go hand in hand. The goal for both is to create alignment between the needs, desires, skills and activities of individuals and what the business requires to achieve results. But in today's intense business environment, what managers and employees need to achieve this balance can be difficult to discern. Download this study of 438 organizations, surveyed in May and June 2011, and learn the strategies, tools and processes which were designed to improve engagement and performance to understand which are the most effective.